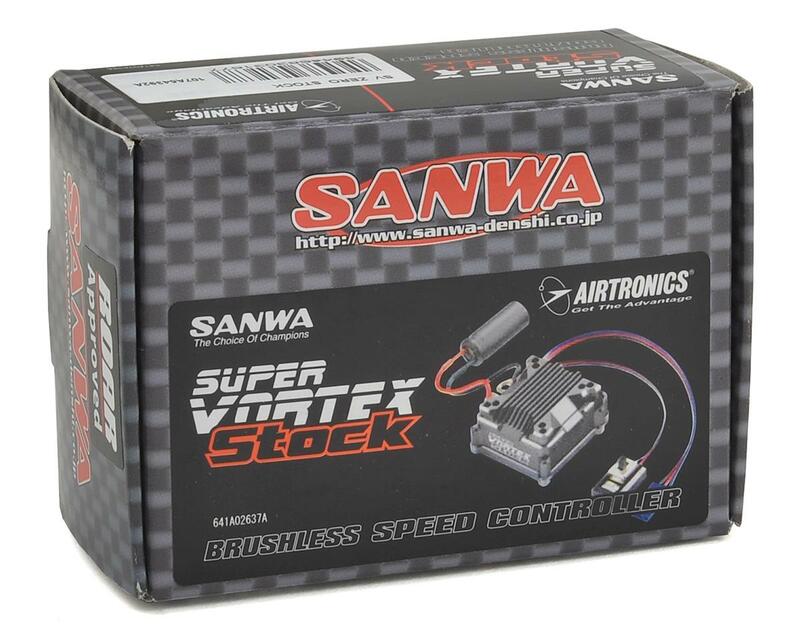 This is the Sanwa Super Vortex Stock Competition Brushless SSL ESC. 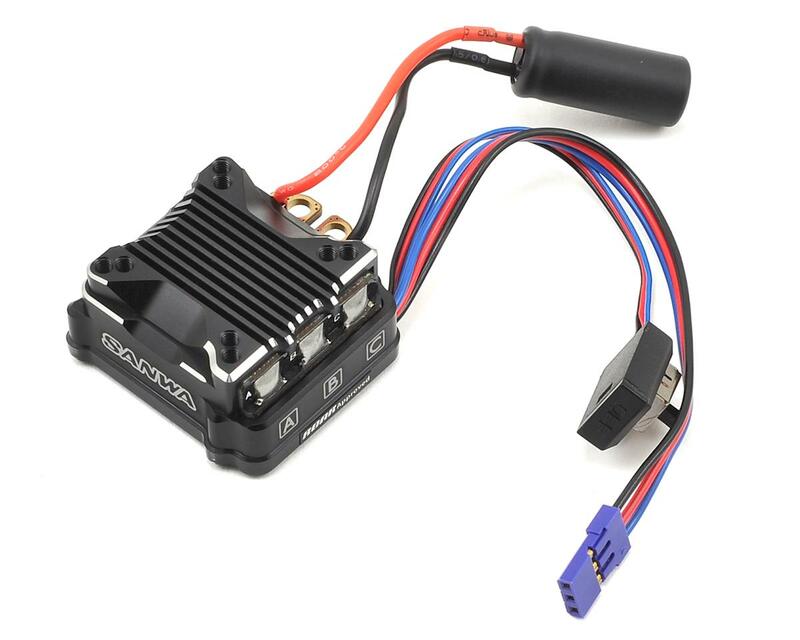 The perfect ESC for competitive stock racers, the SSL capable Super Vortex Stock ESC maximizes motor power, reduces resistance and improves heat protection control. When used with a SANWA M12S or Exzes ZZ transmitter, RX-482/RX-472/RX-47T receiver and the SANWA SUPER VORTEX STOCK ESC, the SANWA Synchronized Link (SSL) system allows you to change many ESC programming values directly from the transmitter using the transmitter's CODE AUX function. 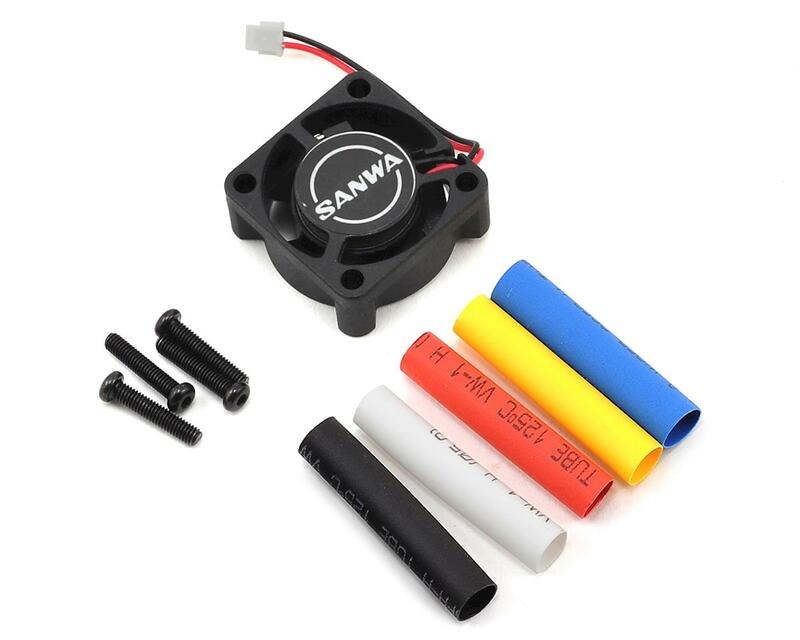 In addition, telemetry data such as motor RPM, ESC temperature, motor temperature (if supported), and battery voltage can be read directly from the SUPER VORTEX STOCK ESC and displayed on the transmitter. I have been happy with this ESC. I own both the stock and the Gen2 units. Controlling them via my Sanwa transmitter is a time saver. Functionally, they perform the same for me. I think the Gen2 has better wire connections. Also, on the Gen2 the program button is on the ESC instead of the switch so it would be possible to remove the power switch if you wanted. 1) The motor wires solder to the side of the unit, as pictured. This solder is extremely hard to melt, even with a high powered Haako iron. I had to put more heat into the ESC than I was happy with to get it soldered, but did not damage anything. 2) The power switch has too little resistance to it. It cut itself off on me twice during wrecks. I have since taped the switch into the on position and had no further problems. The ESC is definitely ROAR approved. The person saying otherwise (on multiple product reviews) is wrong. You can verify this with the current ROAR approved list. The ESC cannot be taken out of blinky mode via the transmitter so cheating is not possible. it would be nice if it gave us the motor limit and full specs. 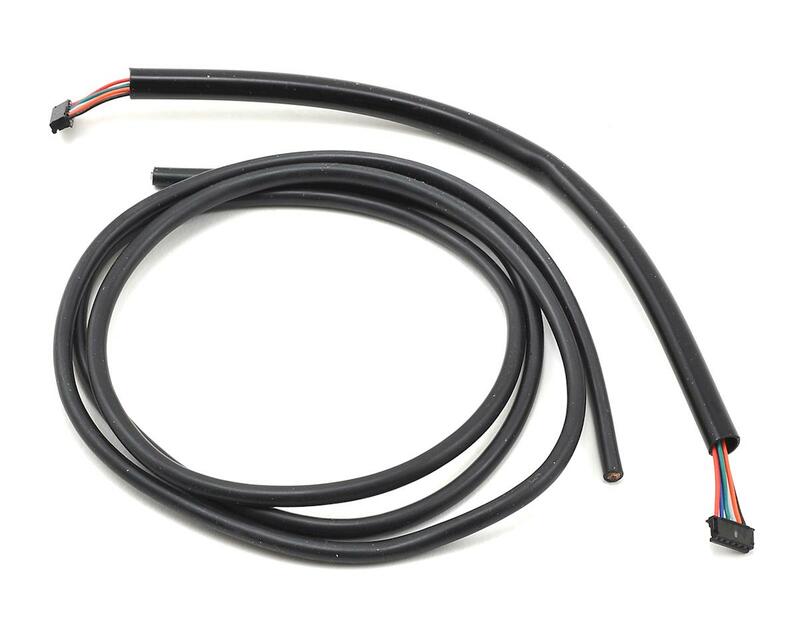 ESC is ROAR legal only if used with a non-telemetry receiver in your car. according to sanwa there is no program box for this. ESC has to be customized manually.